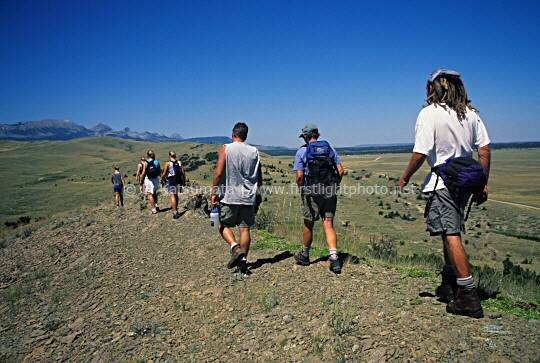 A group of hikers at Pine Butte Swamp Reserve, which is managed by the Nature Conservancy located along the Rocky Mountain Front in Montana. Pine Butte Swamp Reserve is the largest wetland complex along the Rocky Mountain Front and provides important habitat for the grizzly bear in the plains. All images © Ei Katsumata. Unauthorized use of any images in this website is strictly prohibited.